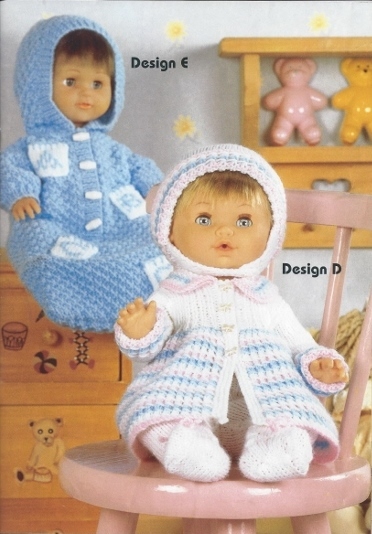 8 Outfits knitted in Snuggly Double Knit and 4-Ply. 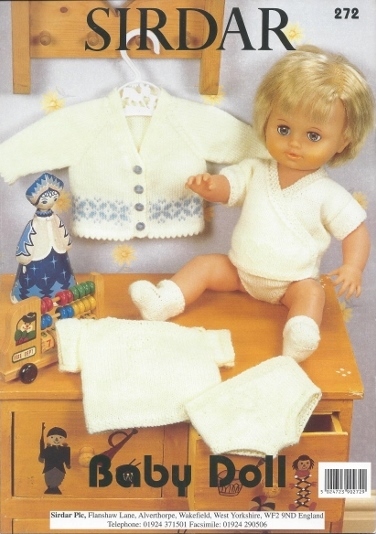 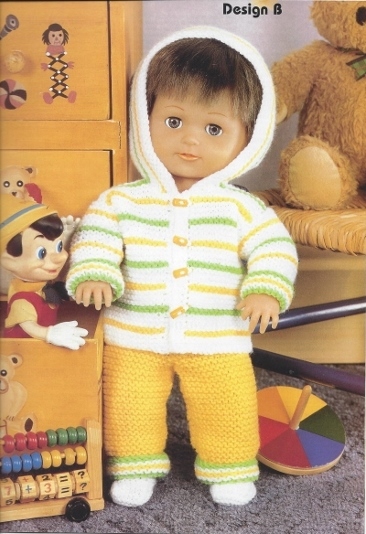 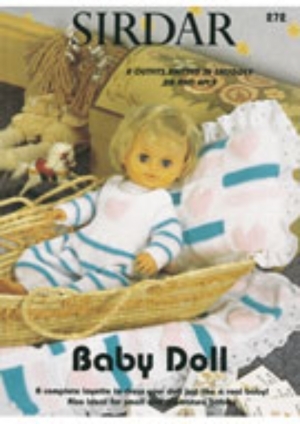 A complete layette to dress your doll just like a real baby! 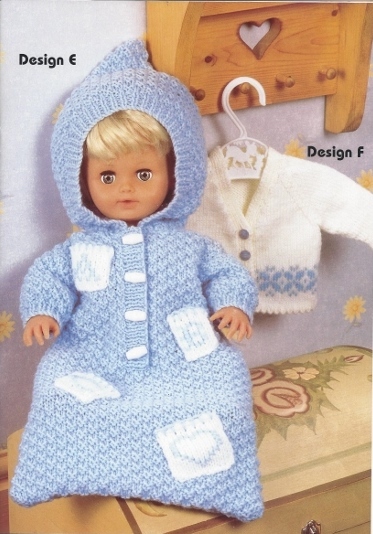 Also ideal for small and premature babies.